Item #48642 : Original era manufacture. Silver gray cotton embroidery on LW blue wool backing material. 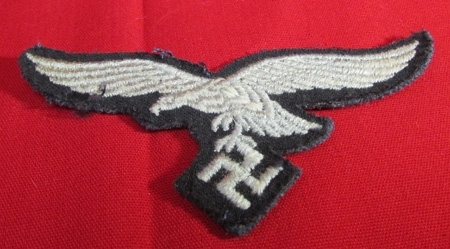 Stitch marks and loose threads around the edges from being sewn to a uniform.